Ό Ιερός ναός τής Αγίας Οσιοπαρθενομάρτυρος Παρασκευής, ένας παλαιός ναός ό οποίος παρέμενε κλειστός γιά αρκετά χρόνια, ξεκίνησε ξανά νά λειτουργεί τό 2009 ώς μετόχιον τής Ιεράς Μονής Οσίου Ιωάννου τής Κλίμακος καί κάτω από τήν επίβλεψη τού πρώην Αρχιμανδρίτου Φιλαρέτου και νυν Επισκόπου Παλλήνης καί Δυτικής Ευρώπης. Ό Ιερός αυτός ναός εξωραΐσθη ώς Μετόχιον τής μονής μας καί λειτουργεί κάθε Κυριακή καθώς καί στις μεγάλες εορτές. Γίνονται σχετικές ανακοινώσεις στην ιστοσελίδα μας. Ή εκκλησία ακολουθεί τό πάτριο εορτολόγιο καί ανήκει στήν Ρωσική Γνήσια Ορθόδοξο Εκκλησία μέ Πρωθιεράρχη τόν Αρχιεπίσκοπο Τύχωνα. In this informative critique of the so-called “Great» and “Holy” Council that was held in Kolymvari of Crete in the year 2016, I will attempt to explain why this council caused unrest even though nothing really novel for the “World Orthodox” was discussed in this meeting. We will analyse this Synod starting from its supposed goals, the idiosyncratic reaction of the conservative “World Orthodox” to this Synod, and the futile interim of those who remain in “World Orthodoxy”. And finally we will demonstrate how this council gives victory to the sagacious stand of the True Orthodox. The so-called Pan-Orthodox Great and Holy Council was a Council of bishops of the “World Orthodox” that took place on June 17 to June 26 on the Greek Island of Crete. Unexpectedly, only 10 of the 14 Autonomous Orthodox Churches took part in this Council. Only days before this council was convened, the Patriarchates of Moscow, Antioch, Bulgaria and Georgia cancelled out on their attendance to the Council. In the initial planning of the Council, various names for this council were used. It was being discussed as an “Ecumenical Council” and as a “Pan-Orthodox Council”. The title that was finally chosen, that of “The Great and Holy Council” was first used by the Greek American Dr. Elizabeth H. Prodromou at a conference in the state of Illinois of the USA in the year 2007. Dr. Prodromou stated that, “there must take place a council of Orthodox that will understand, will compromise and will actively take part in the reality of worldwide religious diversity”. Dr. Prodromou is a professor of conflict resolution and served as a diplomatic appointment Vice Chair and Commissioner on the U.S. Commission on International Religious Freedom (2004-2012), and she was a member of the U.S. Secretary of State’s Religion & Foreign Policy Working Group (2011-2015) and an advisor to the Patriarchate of Constantinople. • The way in which autocephaly is granted. • The way in which autonomy is granted to semi-independent churches within autocephalous churches. • The Church calendar. The Council will have to promote a common practice. • Canonical impediments to marriage, especially in the case of inter-Christian marriages. • Fasting. Should the rules of fasting on Wednesdays and Fridays be changed? • Relationships with the non-Orthodox denominations, such as the Roman Catholic Church, and the Anglican Communion. • The contribution of Orthodoxy to affirming peace, fraternity, and freedom. The topics of the diptychs, the Church calendar and the ecumenical movement were quickly abandoned from their agenda. The matters of the calendar and the ecumenical movement really do justify a council but this council didn’t want to resolve any such issues. The matter of “changing the fasts” would be reinterpreted and the fasts will simply be spoken about in a meaningless and vague document. The documents called Autonomy and the Means by Which it is Proclaimed, The Orthodox Diaspora, The Sacrament of Marriage and its Impediments, and The Mission of the Orthodox Church in Today’s World basically tell us nothing and offer no solutions to present problems. As all of the documents of the Council, they are, however, filled with quotes of scriptures and Fathers of the Church without purposing to walk the route of the Fathers. The document entitled The “Message of the Holy and Great Council of the Orthodox Church» and the “Encyclical of the Holy and Great Council of the Orthodox Church” are both flowery documents with a New Age message of worldly peace and worldly love which basically ignores the truth which can only be one and is absolute. In the document “Encyclical of the Holy and Great Council of the Orthodox Church” we can find the pet subject of the so-called “Green Patriarch”, which is ecology, being spoke of for a good part of the document. We also again note here a sly use of words meant to deceive even zealous Orthodox. These words however, are misleading because as we will see, in general this Council wasn’t made out in the interest of the purity of the Orthodox Faith. The document entitled “The Mission of the Orthodox Church in Today’s World» is simply a social justice gospel. The Orthodox Diaspora document speaks about committees to deal with pan-Orthodox subjects, making, of course, the representative of the Ecumenical Patriarchate the chairman ex officio. In its article 6 #2, It states that these aforementioned assemblies will, “examine and determine the canonical status of local communities in the region that have no reference to the most holy autocephalous Orthodox Churches”. The document entitled «The Importance of Fasting and Its Observance Today» starts out by making things relevant by stating that “In ecclesiastical practice that has existed for centuries, there has always been diversity with regard not only to the length of the fast before Easter, but also the number and content of other periods of fasting which became customary under the influence of various factors, primarily, of the liturgical and monastic traditions, with a view to proper preparation for the great feasts.” What the document doesn’t clearly state is that the tradition of the Orthodox Church long ago regulated these fasting norms and rules. The document mentions the fasts of Great Lent, Wednesdays and Fridays, as well as the fasts of the Nativity, the Holy Apostles (even though the New Calendarists don’t have this fast every year), and the Dormition of the Theotokos. This document speaks about “oikonomia” of the Church but fails to stress that “oikonomia” cannot be generalised, but rather it is used individually, in such a way that the rule or “akriveia” is not changed or discarded but rather allowing for certain persons to follow less strictly the rule. The «Relations of the Orthodox Church with the Rest of the Christian World» is a deceiving document. The first statement in this document says, “The Orthodox Church, as the One, Holy Catholic and Apostolic Church,…occupies a central place in the matter of the promotion of Christian unity in the world today.” What is this Christian Unity? Does it mean unity with heterodox? Certainly it does. But the Church isn’t meant to “promote Christian unity” but only to call back those who have fallen into heresy. The document continues to proclaim the same thing using word games. It says, “The responsibility of the Orthodox Church for unity as well as her ecumenical mission were articulated by the Ecumenical Councils”. Here they leave the matter of “ecumenical” as in “ecumenical movement” to be interpreted, by those who wish, as meaning “all of the world” as it is also used in the words “Ecumenical Council”. When they speak of ecumenical together with the word “unity” and especially “Christian unity” we can understand that they are speaking about the ecumenical movement. The document then becomes more clear when it says the the “Orthodox” Church “has played a leading role in the contemporary search for ways and means to restore the unity of those who believe in Christ, and she has participated in the Ecumenical Movement from its outset, and has contributed to its formation and further development. Moreover, the Orthodox Church, thanks to the ecumenical and loving spirit which distinguishes her, praying as divinely commanded that all men may be saved and come to the knowledge of the truth (1 Tim 2:4), has always worked for the restoration of Christian unity. Hence, Orthodox participation in the movement to restore unity with other Christians in the One, Holy, Catholic and Apostolic Church is in no way foreign to the nature and history of the Orthodox Church, but rather represents a consistent expression of the apostolic faith and tradition in a new historical circumstances.” This statement is full of deceit. Yes, the Church wants “all men to be saved and come to knowledge of the Truth”, but this is not accomplished by some movement to restore unity, but rather by the heretics returning to the true faith. Participation in any such a movement for Christian unity which includes bargaining over decided matters of the faith or prayer with heretics are most certainly “foreign to the nature and history of the Church” The Church has always believed in One Church, with one dogma and with very certain boundaries as we shall discuss later. It continues on in article 5. to say that “The contemporary bilateral theological dialogues of the Orthodox Church and her participation in the Ecumenical Movement rest on this self-consciousness of Orthodoxy and her ecumenical spirit, with the aim of seeking the unity of all Christians on the basis of the truth of the faith and tradition of the ancient Church of the Seven Ecumenical Councils.” The term “bilateral theological dialogues” leads us to believe that the Orthodox aren’t meant to bring the heretics back to the truth, but rather we can equally discuss Orthodoxy and heresy as both having their good points. “Her participation in the Ecumenical Movement”, so clearly pronounced here, is not based on the “truth of the faith” as stated here, but in defiance of the Holy Canons which prohibit prayer with heretics. In article 6 we read the Orthodox Church “ was favourably and positively disposed, both for theological and pastoral reasons, towards theological dialogue with other Christians on a bi-lateral and multi-lateral level, and towards more general participation in the Ecumenical Movement of recent times, in the conviction that through dialogue she gives a dynamic witness to the fullness of truth in Christ and to her spiritual treasures to those who are outside her, with the objective aim of smoothing the path leading to unity”. The World Orthodox have hurled themselves into the Ecumenical Movement since the Encyclical of the Patriarchate of Constantinople of 1920 and what were the fruits of that? The heretics became worse heretics and the Orthodox became Pan-Heretics by joining in prayer with all the other heretics. The Holy Apostle St. Paul advises us that we reject a heretical man after the first and second admonition (Epistle to Titus 3:10). In article 11 of this document we read, “In the event that it is impossible to overcome a specific theological difference, the theological dialogue may continue, recording the disagreement identified and bringing it to the attention of all the local Orthodox Churches for their consideration on what ought to be done henceforth.” So this means that even if the so-called Orthodox disagree in dogma with the heretics, the dialogue can continue with a simple recording of the disagreement and a question as what to do next. Yes, what could be done next? Article 15. says “Upon the successful conclusion of the work of any theological dialogue, the pan-Orthodox decision about the restoration of ecclesiastical communion must, however, rest on the unanimity of all the local Orthodox Churches.” So the prerequisite for restoration of ecclesiastical communion isn’t clearly stated as “heretics leaving their heresy” but rather as the successful conclusion of the work of any theological dialogue. Why would a dialogue take place in the first place if we know the articles of our Faith? And then if a dialogue was “successful”, in their view, then all the local “Orthodox” Churches can decide on the restoration of ecclesiastical communion. Article number 19. of this document states that “The Orthodox Churches that are members of the WCC (World Council of Churches) ….have deep conviction that the ecclesiological presuppositions of the 1950 Toronto Statement, On the Church, the Churches and the World Council of Churches, are of paramount importance for Orthodox participation in the Council.” This article picks and chooses some points from this Toronto Statement of 1950 but leaves out many shocking allegations of this Toronto Statement. Let us quote just five of them now. 1. “It is not for nothing that the churches themselves have refrained from giving detailed and precise definitions of the nature of the Church.” The World Orthodox it seems do NOT have a detailed and precise definition of the nature of the Church in order to agree with the Toronto Statement. 2. “The World Council cannot and should not be based on any one particular conception of the Church.” The World Council of Churches isn’t based on any one particular conception of the Church, hence the branch theory is taught saying that the “World Orthodox” together with all the heretical bodies make up the “Church”. 3. “The member churches of the World Council believe on the basis of the New Testament that the Church of Christ is one.” But obviously this is not the one that we mean when we Orthodox profess “One, Holy, Catholic, and Apostolic Church”. The World Council of Churches here proclaims that all the various heresies and the “World Orthodox” make up one church which does not have or need to have dogmatic unity. 4. “The member churches recognise that the membership of the Church of Christ is more inclusive than the membership of their own church body….” “They recognise that there are church members «extra muros” (meaning outside the walls or beyond boundaries), that these belong «aliquo modo» to the Church, or even that there is an «ecclesia extra ecclesiam” (a Church outside of the Church). This recognition finds expression in the fact that with very few exceptions the Christian churches accept the baptism administered by other churches as valid.” Here again a “Church” without boundaries is proclaimed being made up of members of heretical bodies. 5. “The underlying assumption of the ecumenical movement is that each church has a positive task to fulfil in this realm. That task is to seek fellowship with all those who, while not members of the same visible body, belong together as members of the mystical body. And the ecumenical movement is the place where this search and discovery take place.” The World Orthodox as members of the World Council of Churches believe that they are discovering a “mystical body” that includes members of various visible bodies of heretics. Article 22. of this document states, “The Orthodox Church considers all efforts to break the unity of the Church, undertaken by individuals or groups under the pretext of maintaining or allegedly defending true Orthodoxy, as being worthy of condemnation. As evidenced throughout the life of the Orthodox Church, the preservation of the true Orthodox faith is ensured only through the conciliar system, which has always represented the highest authority in the Church on matters of faith and canonical decrees.” This statement has three traps. One is that it seems the voice of the people of the Church wasn’t considered in times of dogmatical upheaval, which is a blatant lie. Two, it seems to deny the fact that there did exist “Robber” Synods or synods that were later proven to have not been just. And three, it is for only those who believe, and are willing to continue to believe, that the hierarchs who gathered in Kolyvari, Crete were Orthodox hierarchs. Article 23 of this document calls on Christians “to eschew every act of proselytism”. Thus they are calling their own faithful also to not try to bring people to the light of Orthodoxy. One can only fear Article 24 of this document! It states that “The Orthodox Church is aware that the movement to restore Christian unity is taking on new forms in order to respond to new circumstances and to address the new challenges of today’s world.” The mere thought of these undefined “new forms” is certainly disturbing to say the least! Now that we have examined the documents of the “Holy and Great Council”, why don’t we examine the purpose of the council and move on to why this Council brought upheaval to the “World Orthodox”. What was the purpose and goals of this “Holy and Great Council” and why was it called? In the history of the Church, Councils were called when some heresy was trying to contaminate the Faith of the Orthodox. The Council would then decide, condemn the heresy or heresies, and the heretics would be cut off from the body of the Church. At this council the heretics were called as “observers” to the Council. There was no mention of the word “heretic” or “heresy” in any of the documents. Bartholomew referred to the heretics that were present as observers as “Workers of the Vineyard of the Lord”. Can anyone imagine, let’s say, Arius being praised by the Holy Orthodox Fathers as “a worker in the Vineyard of the Lord”?! God forbid! Important issues that they had originally planned to discuss, (like the calendar of the Orthodox Church issue) were “swept under the table”. “Archbishop” Anastasios of Albania described what this Council would be in an interview before the Council even began when he said, “This Council is something totally new and unprecedented that is coming to help Orthodoxy enter the New Age”. He probably said here more than he really meant to say. They are happy to put aside the way of the Holy Fathers and now they handle matters of the Church in a “new and unprecedented” way that brings those who follow it into the “New Age”. The first work of any Council was always to confirm the last Councils that took place before it and the decisions and canons. For example, the Synod of St. Photius the Great (879-880) is the one which named the Council before it as the 7th Ecumenical Council. Councils were not pre-called Ecumenical Councils but were given the title by a following council. Could this Council of Crete reaffirm the decisions of the Council of St. Patriarch Photios of 879-880 (which condemned the Filioque) or of the Palamite Councils of 1341-1351? It wouldn’t because both of these Councils were anti-papal in nature. This Council of 2016 began with Matins and the Divine Liturgy at the Church of St. Minas in Herakleion, Crete at which Papists, Protestants, and Monophysites officially prayed with the World Orthodox in direct violation of the Holy Canons. Let’s examine one of the most interesting matter when we speak about the “Holy and Great Council of 2016”. I have been amazed by the fact that so many “World Orthodox” reacted negatively to this Council. The “World Orthodox” have been vividly involved in the Ecumenical movement for almost one hundred years. So much so that ecumenism has become a part of the “World Orthodox’s” dogma. Observing them, we understand our Lord’s question, in an often mistranslated verse of the Gospel According to Luke, which should correctly read, “However when the Son of Man comes, will He find THE Faith on the Earth?” (Luke 18:8). This Council said nothing more heretical than that which has been preached continuously for almost the last century by the World Orthodox ecumenists. Why then was there such a big reaction against the Council by members of World Orthodoxy? I think I can sum up easily why some of the conservative “World Orthodox” reacted to the Council of Crete in such a dramatic way. They declared it to be a heretical council but the heresy of Ecumenism is something they should be long accustomed to in their “church”. At the ending speech of this Council of 2016 “Patriarch” Bartholomew stated that he was walking the “road of the Encyclical of 1920”. This infamous encyclical of the Patriarchate of Constantinople of 1920 is the one that proclaimed that the Church’s calendar must be changed in order to celebrate feasts with the heretical bodies of the West. It wasn’t a concern to them that the Orthodox would no longer all celebrate the feasts and have the fasts together. As long as they could celebrate together with the Pope of Rome. It is to this that the True Orthodox of Greece and elsewhere reacted when they understood why the Church’s calendar was being changed. 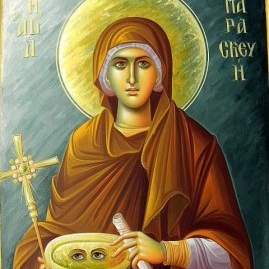 They rightly said that the Patriarchate was trying to “Latinize” them and that those who retained the unblemished Faith of the Fathers were the continuation of the Church and in order to distinguish themselves from those who didn’t believe Orthodoxy but proclaimed to be Orthodox, they added the word Genuine or True. Christ warns us to “Fear not the small flock; for it is your Father’s good pleasure to give you the kingdom”. Just as Sergei Stragorodsky had tried to replace the Church of Russia with his “Church” of the Soviets, in the same way and at the same time the ecumenists were trying to replace the Church of Christ with an impostor “Church”. We see in the Book of Revelation, that in the Church of Sardis only «a few people» «did not defile their garments,» but that the glorious Church in Philadelphia, «not having much power,» had retained the word of the Lord and did not deny Christ’s name (Revelation 3: 4,8). But this message is difficult for those who have always belong to state and official-seeming “churches”. «The Gospel will be known to everyone,» says Bishop Theophan about the times preceding the appearance of the Antichrist, «but one part will not believe the Gospel, another greater part will be heretical, will not follow God’s teachings, but will build a faith of its own invention although based on the words of Scripture. Of these invented faiths there will be many…There are already many of them but there will be even more. Every kingdom will have its own faith confession, then every district with its own confession, then every city, and in the end, perhaps, every head will keep its own confession. Wherever people create their own faith, and do not accept God’s teachings, there can be no other way. And all of these confessions will appropriate to themselves the name of Christians.» This is on the one hand. Are the world Orthodox fearing this abrogation of Orthodoxy through an “Ecumenical Council” of the already heretical World Orthodox? Many of the conservatives of “World Orthodoxy” refused to see that their so-called “church” had already fallen into heresy. They refused to see the writing on the wall which was so clear! I gave this critique the title, “Mene, Tekel, Peres”. We find these words in Chapter 5 of the Book of Daniel of the Old Testament. When the Babylonian King Belshazzar gave a feast and used the vessels of the Temple for his carousing, he saw a hand write these very words on the wall which mean “weighed, found defective, and divided”. I believe the conservative “World Orthodox” saw the writing on the wall. The so-called Orthodoxy of the “World Orthodox” has once again been shown to be defective and their kingdom is once again being divided. These objectors to the Council of Crete claim to fear making a schism on the one hand and on the other hand they profess that their hierarchs are all members of an establishment that confesses the pan-heresy of Ecumenism. So great an uproar has since occurred, that one year after this “Great Council”, the Community of Mount Athos (composed of Athonite monks who commemorate Bartholomew) came out and tried to pacify the fears of the “World Orthodox” with a foolish document called, “A Message from Mount Athos Concerning the Great and Holy Council in Crete” and dated June 30, 2017. This message at its beginnings says, “There is no need for perturbation, since the Resurrected Lord is with us!” Is the Resurrected Lord with them? In this way of thinking, there would have been no need for all the struggles for the Faith during all the centuries. The Holy Fathers did not remain oblivious to matters of the Faith. Instead, they fought great battles for the purity of the Faith. They didn’t sit back and say that all is fine because the Resurrected Lord was with them. He certainly was with them, and the Resurrected Lord was the One who gave them the power to be on guard for a deviation of the Faith. The Apostle Peter exhorts us to, “Be alert and of sober mind. Your enemy the devil prowls around like a roaring lion looking for someone to devour” (1 Peter 5:8) and the Lord Himself has called us to “Be always on the watch, and pray that you may be able to escape all that is about to happen, and that you may be able to stand before the Son of Man” (Luke 21:36). This document goes on to say that the “Church is always a pillar and the consolidation of the Truth as St. John Chrysostom says ‘The Church is tossed in the sea, but is not drowned’ ”. We agree here that the Church is a pillar of the truth, but that only convinces us more that the ecumenists are not the Church. These Athonites call for the people to “remain in the Church which heals that which is ill and completes the inadequate”. They try to make the simpler people believe that the Church is certainly wherever the Fanar of Constantinople is! But didn’t again each heresy throughout history appear as THE Church? The document is ridiculous when it professes that “We belong to the Church, the Body of Christ. This Body has so much health that it can anticipate and assimilate those elements that it receives and discards those which it finds as foreign.” I truly feel sorry for those Athonites who can call the “church” of the ecumenists a body with so much health. Unfortunately, their church follows those foreign elements rather than discarding them. The World Orthodox who are now conscious of the evil of ecumenism, have begun “walling themselves off” from their bishops awaiting some Ecumenical Council to condemn ecumenism and the ecumenists as heretics. Is it sober for them to wait for such an Ecumenical Council? Christ tells us that the Church shall not be prevailed by the gates of Hell (Matthew 16:18). St. Gregory Palamas so aptly points out that, “Those who are of the Truth are of Christ’s Church and those who are not of the Truth are not of Christ’s Church.” The beginning of the 20th century was marked by an attempt to destroy the Orthodox Church. Communism started this attempt in some parts of the Orthodox world and ecumenism in other places. The movement of the conservative “World Orthodox” to wall themselves off has no real meaning today. They are walling themselves off from a supposed “Church” that has long ago fallen into heresy. And since it has fallen into heresy then it isn’t the Church against which the gates of Hell shall not prevail. St. Ignatios of Antioch tells us that wherever the bishop is (and we can only believe of course that he means the right-believing bishop), there also is the Church. St. Maximos the Confessor during his times considered the Pope of Rome, who was very far away, to be his bishop for the simple reason that he knew only of the Pope of Rome as a bishop who hadn’t fallen into the heresy of Monothelitism. This displays to us that we should be under the omophorion of a bishop who rightly divides the word of truth. The days of the Byzantine Empire are gone. Who are we expecting to call a truly Orthodox Council? All Ecumenical Councils were called by the Emperor who called both disagreeing factions. Will the ecumenists gather a council to condemn themselves? The only councils we can await from the “World Orthodox” are those like the one of Crete and like the one Kosmas Flamiatos described which will try to abolish Orthodoxy. In a similar way, Metropolitan Joseph of Petrograd wrote, “Those who defend Sergei Stragorodsky say that the canons allow separation from a bishop only for heresy judged by a Sobor, It can be replied that the actions of Metropolitan Sergei have led to just that state if one has in view such clear destruction of the freedom and dignity of the One, Holy, Conciliar, and Apostolic Church…but beyond this, there is much that the canons cannot foresee, and can one dispute the fact that it is worse and more dangerous than any heresy when a knife is plunged into the very heart of the Church – Her freedom and dignity? Which is worse, heresy or murder? (Actos of Metropolitan Sergei, unpublished typescript (1930?) p. 120). The same can be said about ecumenism which dissolved the belief the Holy Church has always had, that heretics were outside of Her realms. It is quite interesting that supposedly True Orthodox clergymen like Bishop Stefan of Trenton and certain priests of Omsk fail to agree with the collection of ancient and modern Holy Fathers when they insist that there exists sanctifying Grace outside of the boundaries of the Church and even more so they claim that it exists among those groups who have clearly embraced a horrible heresy or more correctly heresies. Bishop Stefan of Trenton in his sermon on the Sunday of Orthodoxy of 2017 stated that “We cannot repudiate the presence of grace among heretics.” How far is this comment from the quote of St. Philaret Metropolitan of New York who stated, “The ecumenists and other heretics “have betrayed Christ, and their “church” is no longer a bearer of grace”. But do we really need any new Ecumenical Council to condemn the heresy of Ecumenism? We say that with the 7 Ecumenical Councils the Faith of the Orthodox has been sealed. In other words, all of the major questions of the Faith have been examined and any new heresy that appears can be judged by what has already been decided at these Councils. “We keep the guileless confessions that we have received from the great men, turning away from every innovation as a dictation of the devil. The one who accepts an innovation accounts the professed Orthodox Faith as being deficient. However, this faultless Faith has already been sealed, and it cannot accept neither lessening nor additions nor deterioration, and the one who should dare, to do this or advise this or even think of this, has already denied the Faith of Christ and has already wilfully come under the eternal anathema by blaspheming the Holy Spirit, by saying that the Scriptures and Ecumenical Councils didn’t tell us the entirety of the Faith. The signatures of the patriarchs and bishops follow. And what will those who simply “wall themselves off” from their “World Orthodox” bishops eventually do? Most of Mount Athos had stopped commemorating “Patriarch” Athenagoras but returned to commemorate the next “patriarch” who was Dimitrios. Had Dimitrios returned to Orthodoxy? Did he correct any of the heresies of his predecessor? No, he preached the same beliefs as Athenagoras but was simply less popular and less heard. Let us not forget that cardinals were there at his enthronement as is typical for the fallen Ecumenical Patriarchate. The simple truth is that if you fail to accept that these hierarchs don’t comprise the Orthodox Church, then you will find yourself again with them. This is the reason why both catacomb believers and the True Orthodox from their early days rejected the impostor churches. Bishop Hilarion, formerly of Smolensk, was a most irreconcilable enemy of the declaration of Metropolitan Sergei of 1927. He denied the sacraments performed by Sergianists and for a second time baptised infants and married those already married in the “Soviet Church” (Protopresbyter M. Polsky, New Martyrs of Russia). Archbishop Theodore Posdeev would not recognise in the Moscow Patriarchate validity of mysteries that were performed in its churches and until his very death (circa 1950) he would send the Holy Gifts to his spiritual children. (From an article The Life of Hieromartyr Theodore Posdeev). Supposed True Orthodox clergy who recognise the heretics as having valid mysteries should realise that THEY are the innovators and that they reject the beliefs that the True Orthodox have believed. It is interesting to note that this theory of being “walled off” was made famous by Metropolitan Cyprian (Koutsoubas) of Fyli, Greece. He spread widely his idea that the “World Orthodox” were the Church and he and his “resistors” remained in this “Church” that preached heresies, but objected to the heresies. He did join the Genuine Orthodox Church of Greece and was ordained a bishop by True Orthodox, but soon he proclaimed himself and those with him to be an independent synod not belonging to the Church of the True Orthodox, but rather as a resisting portion of a branch-theory church that was made up also of those who professed the heresy of Ecumenism. This “Church” that he envisioned didn’t even have dogmatic unity! The “church” of the ecumenists is certainly a body run by heretics. A “church” with heretical bishops at its head is certainly not the Church at all. “Whoever is separated from the Church and is joined to an adulteress is separated from the promises of the Church, nor will he that forsakes the Church of Christ attain to the rewards of Christ. He is an alien, a worldling, and an enemy. He cannot have God for his Father who has not the Church for his mother» (The Unity of the Universal Church [A.D. 251]). The Apostle Peter tells us, “In the ark of Noah a few, that is, eight souls, were saved by water. Similarly, baptism will in like manner save you» [1 Peter 3:20-21]. It should not be surprising to us that those who have abandoned the Church dogmatically are going from “bad to worse” . Again St. Cyprian of Carthage tells us that “Outside the Church there is no Holy Spirit, sound faith moreover cannot exist» (Treatise on Rebaptism 10 [A.D. 256]). «Heretics bring sentence upon themselves since they, by their own choice, withdraw from the Church, a withdrawal which, since they are aware of it, constitutes damnation. Between heresy and schism there is this difference: that heresy involves perverse doctrine, while schism separates one from the Church on account of disagreement with the bishop. Nevertheless, there is no schism which does not trump up a heresy to justify its departure from the Church» (Commentary on Titus 3:10–11 [A.D. 386]). So it is with those who formerly belonged to our Church.